Microsoft SharePoint is a web-based collaborative platform that integrates with Microsoft Office. Launched in 2001, SharePoint is primarily sold as a document management and storage system and is used by over 200,000 companies. Once added it allows users to search for Sharepoint files from their chat interface. 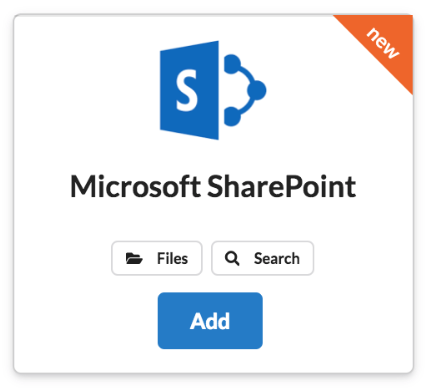 If you have Sharepoint added as a provider it allows you to select ‘Sharepoint’ as a location for the document template: Settings > Document Generation > Add. How can I add Sharepoint?